California’s Health and Safety Code section 11550 addresses simple drug use and intoxication and makes it unlawful to use controlled substances and become impaired as a result. 11550 HS also covers prescription narcotic drugs, when said drug is obtained illegally - in other words, the person does not have a valid physician's prescription for the narcotic. A violation of 11550HS without aggravating factors is a misdemeanor and a diversion program is available to many defendants. California’s Health and Safety Code section 11550 addresses simple drug use and intoxication. 11550 HS makes it unlawful to use a controlled substance or an illegally obtained narcotic and become detectably impaired as a result. 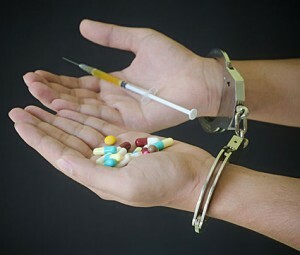 The defendant willfully used a controlled substance, or a narcotic which was illegally obtained. The defendant was under the influence of that controlled substance or narcotic. To satisfy the first element, the defendant must have used the drug “immediately preceding”—generally up to five days preceding—his/her arrest. If the defendant is actively suffering through withdrawal symptoms, it is not indicative of “immediately preceding” use and it is unlikely that the individual would be convicted under 11550 HS. As for the second element, the defendant’s brain, nervous system, and/or muscle coordination must have been impacted to the point of impairment. According to 11550 HS, the impairment need be “in any detectable manner.” As such, proof of impairment or other negative behavior resulting from impairment is not necessarily required for a successful conviction. For example, a police officer might testify that a defendant found with narcotics on their person had dilated pupils and slurred speech, which may be sufficient to secure a conviction for violating 11550 HS. 11550 HS is commonly charged in conjunction with driving under the influence offenses. In those cases, the impairment caused by the controlled substance must be great enough that a reasonable person would not operate a vehicle under the same conditions. A comprehensive list of all applicable drugs can be found in 11054-11058 HS. Illicit drugs are not the only drugs regulated under this statute. Using or being under the influence of prescription narcotics such as morphine, codeine, hydrocodone, oxycodone, and/or other opiates can also be charged under 11550 HS, if the defendant did not have a valid prescription for the drug. Marijuana is not regulated under 11550 HS as California has other laws dealing specifically with cannabis. One year in county jail. Drug counseling and/or regular drug testing. Further, a defendant who receives a third conviction under 11550 HS within seven years of their first conviction AND has refused to participate in court-mandated drug treatment faces a mandatory minimum sentence of 180 days in county jail. Being under the influence of controlled substances while in the possession of an operable and loaded firearm is a wobbler, which means that it can be charged as a misdemeanor or felony. The first such offense is generally a misdemeanor, but every subsequent offense will automatically be a felony, making the defendant subject to incarceration for two to four years in state prison. As a result of 1000 PC and Proposition 36, non-violent drug possession defendants receive deferred entries of judgment with a requirement to attend court-ordered drug rehabilitation. However, if the defendant is simultaneously charged and convicted of 11550 HS and another misdemeanor or felony, she/he is not eligible for diversion. This includes convictions for possession of controlled substance for sale (11351 HS) and transporting or selling a controlled substance (11352 HS). A conviction for either of these offenses renders the defendant ineligible to participate in diversion programs. The underlying concept is that treatment for simple addicts is more beneficial to the individual and to society at large than incarceration; however, selling drugs poses a more serious threat to the general public. Arguing that the defendant was not actually under the influence of a controlled substance or narcotic. Proving that the defendant had a legal prescription for the drug in question, and that it was taken according to the physician’s directions. Showing that the defendant suffered from involuntary intoxication, which typically results from being drugged by another person.